United States Senator Rand Paul (R-Kentucky) is threatening to delay the confirmation of John O. Brennan as head of the CIA. 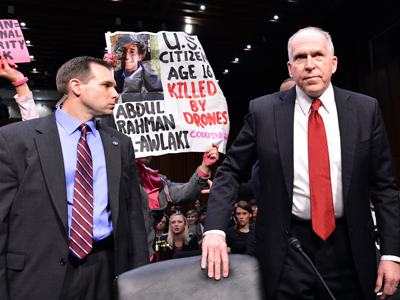 Brennan, the former counterterrorism tsar during Pres. 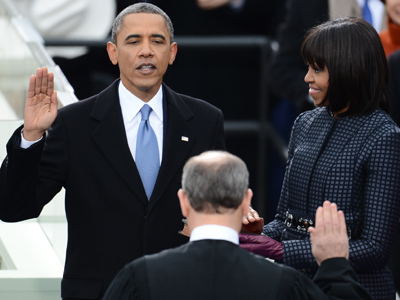 Barack Obama’s first term in the White House, was hand-picked by the commander-in-chief earlier this year to serve as the next director of the Central Intelligence Agency. Sen. Paul isn’t sure he wants to let that matter make it to vote, though, and says he will place a hold on the nomination unless Mr. Brennan can answer some questions. 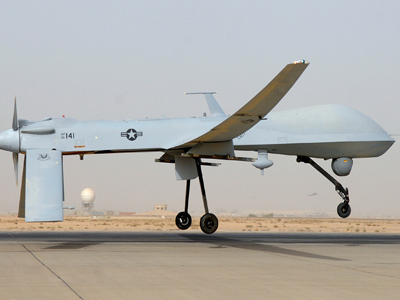 Last month, Sen. Paul forwarded Mr. Brennan’s office a list of questions regarding the Obama administration’s use of missile-equipped drones in the United States’ war against terrorists overseas. But even after being grilled during two separate Senate confirmation hearings, Sen. Paul says the likely new CIA chief has failed to provide a response to his inquiry. On Tuesday, Sen. Paul published online a second request for information that he’s submitted to Mr. Brennan, and on Wednesday the senator said he’d block the nomination until he receives an answer. 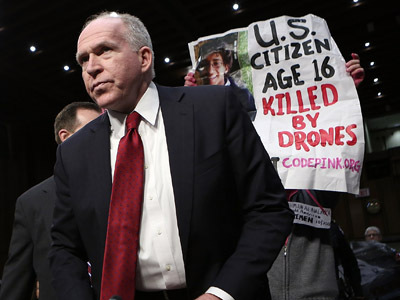 "I have asked Mr. Brennan if he believed that the President has the power to authorize lethal force, such as a drone strike, against a U.S. citizen on U.S. soil, and my question remains unanswered. I will not allow a vote on this nomination until Mr. Brennan openly responds to the questions and concerns my colleagues and I share." 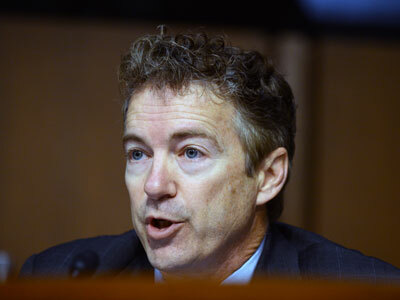 Sen. Paul said in a statement published on his official website this week. In his first letter to Mr. Brennan, Sen. Paul presented three pages of questions, asking specifically for the Obama appointee to offer his personal opinion on the Executive Branch’s apparent ability to target US citizens residing abroad with extrajudicial killings. “Do you believe this is a good precedent for the government to set,” asked Paul. Additionally, the senator has requested that Mr. Brennan provide him with access to the trove of top-secret documents that discuss the administration’s policies for deciding on what citizens to kill and how those strikes are conducted. Paul also insists that Brennan tell him, “How many times have you specifically objected to an individual’s inclusion on a targeting list,” and, “how many times have you recommended to the president against including an individual” on such a roster. be seen by the public—is a necessary step in the examination of our conduct around the globe, the protection of our Constitutional rights and our values, as well as your suitability to oversee these priorities as the Director of the CIA,” Paul wrote. With no response after a month, however, the senator says he will need an answer if the administration expects him to allow the confirmation process to continue. 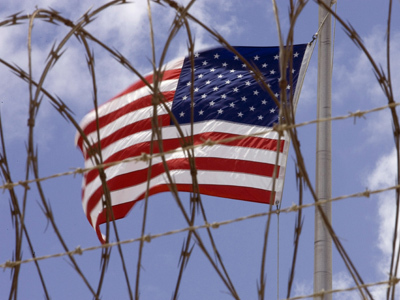 "These issues must be discussed openly so that the American people can understand what constraints exist on the government's power to use lethal force against its citizens. Before confirming Mr. Brennan as the head of the CIA, it must be apparent that he understands and will honor the protections provided to every American by the Constitution," he says in this week’s statement. “I find that very, very worrisome (and) we're going to do whatever it takes to get the answer,” Paul adds to USA Today. “Can the government, does the government, the president himself, claim the power to unilaterally kill an American in America without a trial?" Paul’s threat of a hold comes only days after Sen. Lindsey Graham (R-South Carolina) told CBS News that he would halt the confirmations of both Brennan and another national security nominee until more members of the Obama administration open up about last year’s terrorist attack in Benghazi, Libya. "Who took the references to al Qaeda out of the talking points given to Susan Rice? We still don’t know. Richard Burr and Saxby Chambliss have found emails discussing changing the talking points. I think her story, after what we found out in this hearing, was incredibly misleading. I want to know what our president did. What did he do as commander in chief? Did he ever pick the phone and call anybody? I think this is stuff that the country needs to know,” Sen. Graham said to CBS. He said he’ll place a hold on both Brennan and Defense Secretary-nominee Chuck Hagel until he hears a response.